At My French Riviera Rental, we want to make your stay as comfortable and memorable as possible. Although each rental is professionally managed by our company, they are individually owned, decorated and stocked with our FREE starter amenities. We also know how stressful it may be to organize everything when travelling to your vacation here to discover Cote d’Azur ! To make your travel experience to the French Riviera as stressless as possible, we offer a wide variety of services for our vacation rental guests. FREE guest book information in each property, with all the info you need to find a good restaurant, markets, buses, trains, etc…. Also, with only 59.99 € per booking, you can have your own concierge service, for all your restaurant reservation, amusement parks information, bookings. Feel free to let us know what you need and we will make your stay on the French Riviera unforgettable! 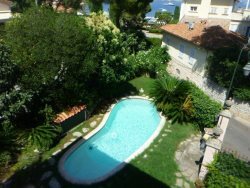 So, relax and remember, vacation more and worry less when you stay with My French Riviera Rental ! For the ideal start to your holiday, allow us to pre-arrange your airport transfer to your property. We provide a reliable and convenient “meet & greet” service where you are met at the airport and escorted to your property where you will be met by one of our representatives. Pre-stocking the property you are going to stay in with the initial shopping items necessary for your stay is strongly recommended. Sunday is a rest day in France and most shops are closed. Send us a list of shopping items within 72 hrs of arrival and we will stock your fridge. If you want to explore the beauty of the Riviera at your own pace we can arrange to have a vehicle for you to pick-up at the airport on arrival. We work with a number of dependable and professional car rental companies to guarantee a wide range of high standard vehicles. We know it sometimes can be difficult to know where to eat with the choice of restaurants on the Riviera. Tell us what you would like, whether it is casual or fine dining, and we can make a reservation for you. Monaco, Cannes & Nice have a wide range of seasonal festivals and events. The Monaco Grand Prix F1, the Cannes Film Festival, the Nice Carnival and Nice Jazz Festival are to name just a few. If you wish to attend a particular event please contact us. Need some time just for the two of you? We can make it easier for parents with small children to take full advantage of their holiday by arranging baby equipment or babysitting services with experienced babysitters. Do you want to learn French, go on a tour of vineyards and do some wine tasting, or do a tour of the art galleries, Matisse, Picasso, Chagal ? Contact us for more details. Or, Discover the French Riviera with a single pass! Designed to offer maximum opportunities, the French Riviera PASS entitles you throughout the period of validity (24hrs, 48hrs, 72hrs) to unlimited access to "Nice Le Grand Tour" , the panoramic double-decker bus, free access to museums and tourist sights in Greater Nice (Antibes Juan-les-Pins, Biot, Cagnes-sur-mer, Eze, Monaco, Nice) and also provides a carefully selected listing of restaurants, shops, leisure activities, artists' studios. Included: Nice le Grand Tour, Marc Chagall national Museum, Russian Orthodox Church, Cave Bianchi wine-tasting, Renoir Museum, Marineland, Villa Kerylos, Villa & Garden Ephrussi de Rothschild, Eze Exotic Garden, Monaco Exotic Garden among others. Simply the best way to relax. Take a day trip on our 50ft yacht with a crew. A unique way to see the Riviera. Our crew know the best beach restaurants from Cannes to Monaco, so after lunch you can climb aboard and swim in beautiful turquoise bays or cruise around the islands. Contact us to make a booking.